Bread baking has been on my to do list since over a year now, but life often got in the way as it usually does and the itch to bake died a silent death, this year however as Plattershare had their first contest on Breads of the world, I decided to pull up my socks, wear my baking gloves and bake that bread. 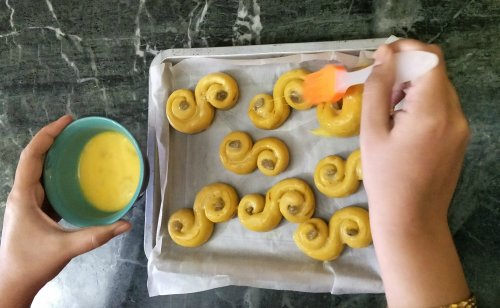 A quick search for unique breads ended when I chanced upon these easy to execute Swedish Saffron buns, but what excited me most was their back story, I'm a food enthusiast all the way but throw in a story and I am instantly sold. 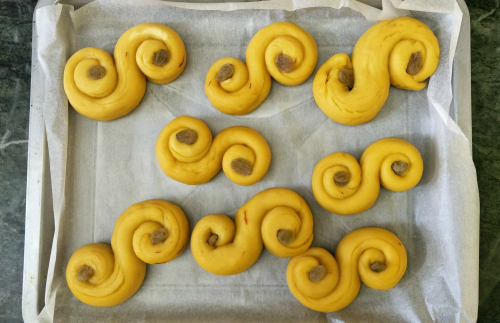 Lussekatter, or St. Lucy’s Cats, are a sweet saffron bread from Sweden. The legend is a little distorted; originally they were called “Devil’s Cats” because it was told that the Devil would arrive in the form of a cat to punish bad children, while a “Christ-like child” would show up with treats for the good kids. St. Lucy (or Lucia in Italy) came to represent the good and the light (as opposed to the dark and the evil of Satan) and saffron was used to keep the Devil at bay because of its brilliant yellow color that is bright like the sun — and the Devil hates sunlight, right? Over hundreds of years, Lussekatter came to replace the name Dövelskatter (Devil’s cats) though in some parts of Sweden the old name is still used for these buns. 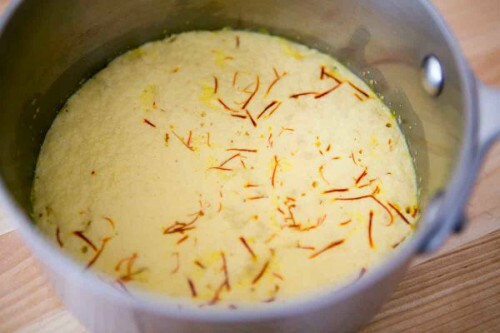 Crumble saffron into 1 tablespoon hot milk and let sit (up to 30 mins). Heat the remaining milk and mix with butter, sugar and salt in a large mixing bowl. Let cool to lukewarm. Add yeast and sit 10 minutes. 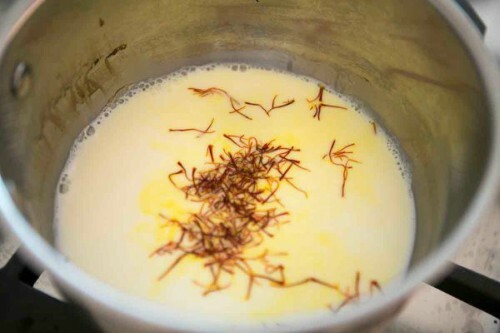 Add saffron milk and stir. Mix in half the flour and one egg until well combined. Add in the rest of the flour until a soft dough forms. 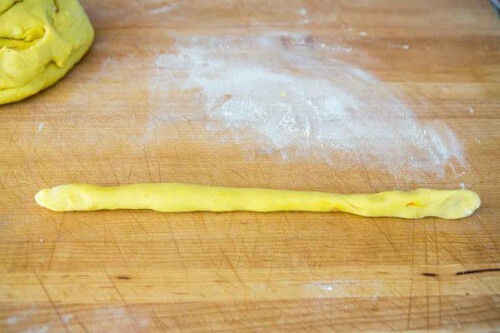 Apply 1 teaspoon of butter over the surface to the dough to keep it from drying out as it proves. 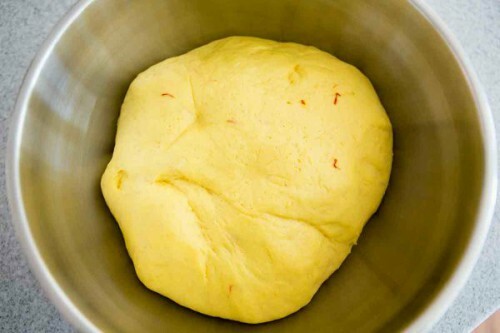 Divide dough into 8 portions, each about the size of an egg. Roll each ball into a rope about 8 inches long. Roll both ends of the rope in opposite directions and form into a tight “S” or figure-8. Tuck a raisin into the curve of each end. Transfer to a greased baking sheet, about one inch apart. Cover again and let rise in a warm place for 60-90 minutes. 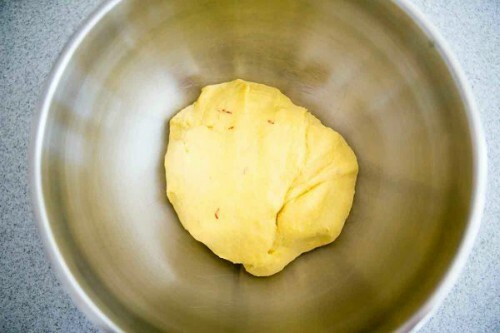 Beat the second egg in a small bowl and brush over buns. Bake in a preheated oven @200 degrees celcius for 10 - 15 mins, remove when the base turns golden brown. 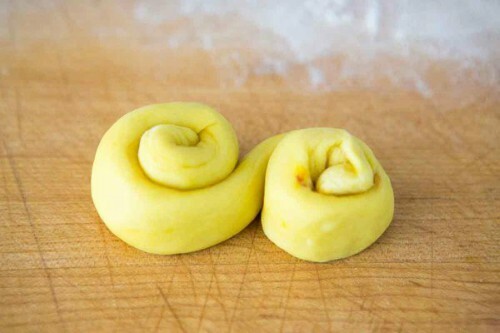 Brush the rolls with 1 teaspoon butter as soon as you take them out from the oven. Enjoy with a hot cup of tea or coffee. To rise your dough always place it in a microwave that has been heated (empty) for 3 mins on full power, this creates a warm and humid environment for the yeast to develop and ferment the flour. 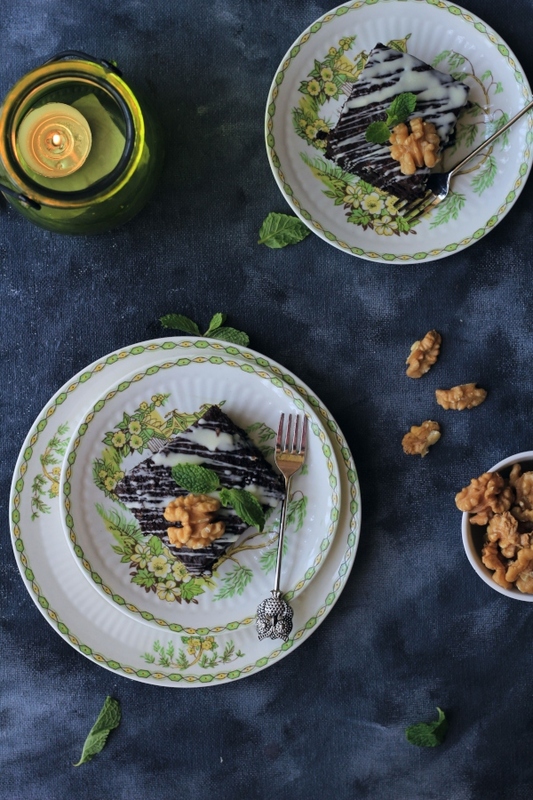 You can add a pinch of cardamom powder to the flour for an added new dimension in flavour. .If your dough is very crumbly and doesn't bind properly add in some milk a teaspoon at a time.